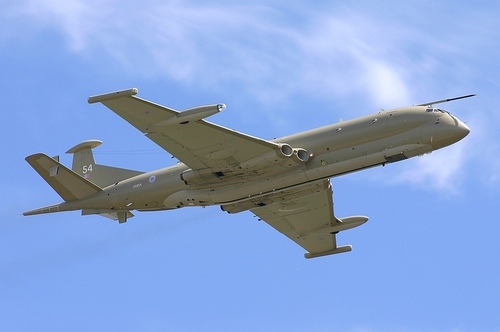 The Hawker Siddeley Nimrod is a maritime patrol aircraft developed and operated by the United Kingdom. It was an extensive modification of the de Havilland Comet, the world’s first operational jet airliner. The photo above shows a Hawker Siddeley Nimrod MR2, taken by Dale Coleman in 2005 when it was still in service. The vertical and horizontal stabalisers are unrecognisable, though there’s no mistaking those engine intakes. I’m only interested in civil aviation, but it would have been fun to see a relative of the Comet in service in my lifetime; even one fitted out to resemble a narwhal.